Group Coaching is about achieving your dreams and goals; while being held accountable to yourself and peers. 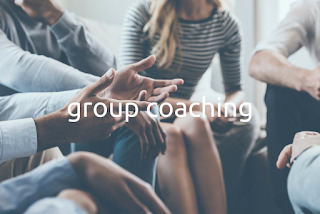 With group coaching you realize you're not alone. In a group setting you find solutions and celebrate each success for yourself and with your group. If you've ever wondered about Life Coaching this is a perfect way to start. Includes: (2) -90 minute monthly sessions - Each session will allow two members to come forward with specific issues for laser coaching, and group feedback. As always we will do a check in with group members. -An Accountability Partner - This is to ensure you've done the work assigned and ready for the group session.